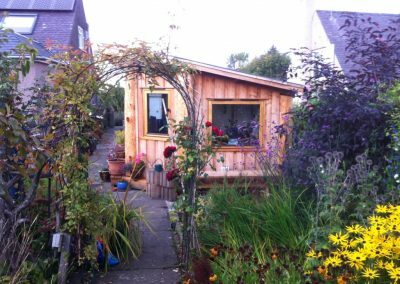 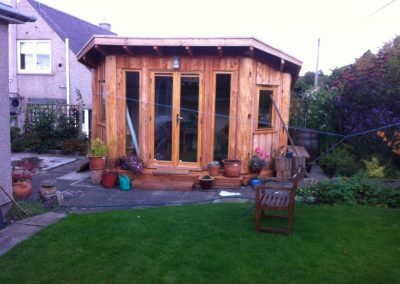 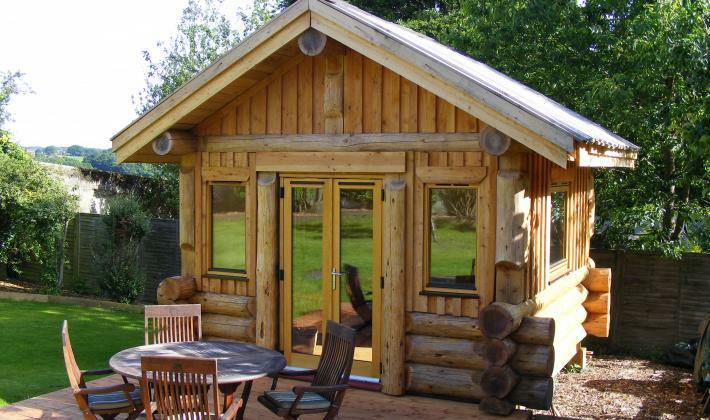 Our garden rooms and offices can be built in three beautiful styles. 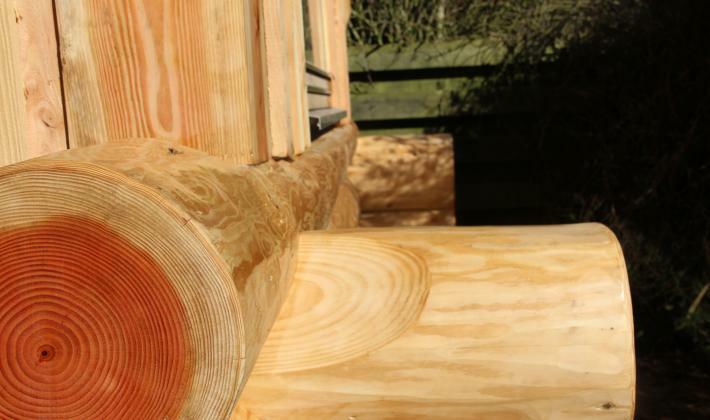 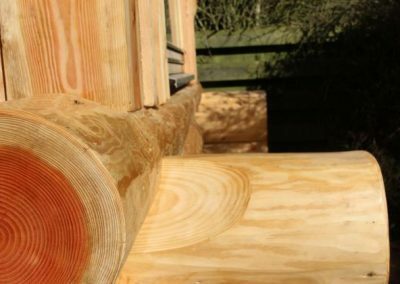 Full scribe, post and beam or hybrid. 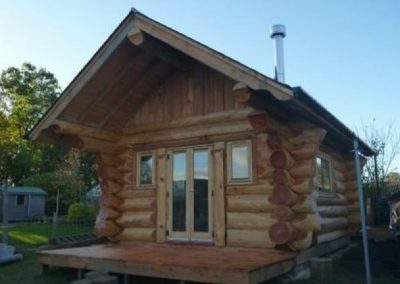 Essentially these are minatures of our larger houses and come with the same level of craftmanship. 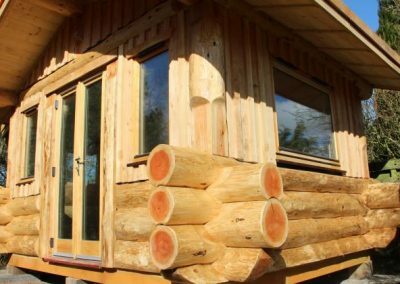 Fully insulated and double glazed the builds are perfectly suited to being heated by a small radiator or even wood bruning stove. 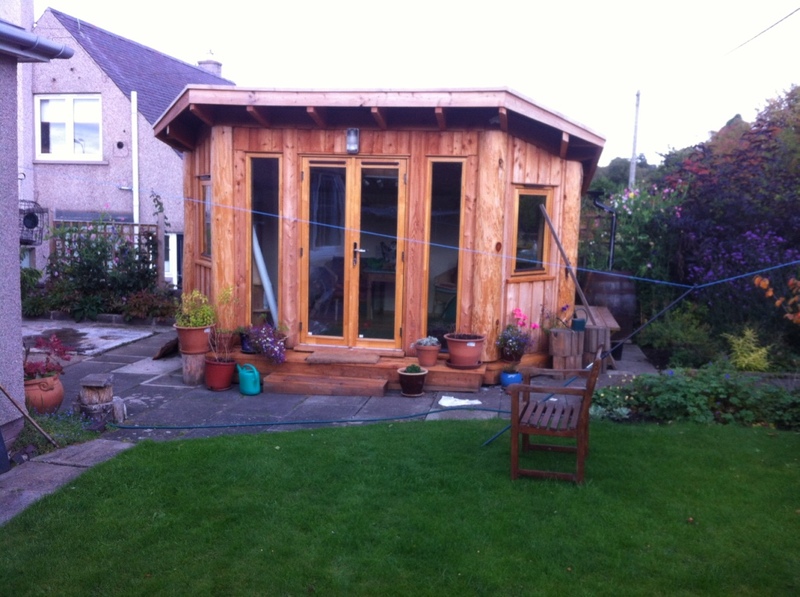 Clients use these for working, relaxing, listening to music, reading or just getting away from it all. 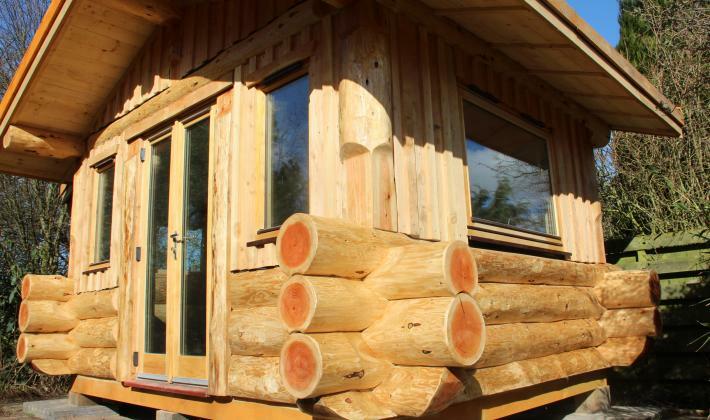 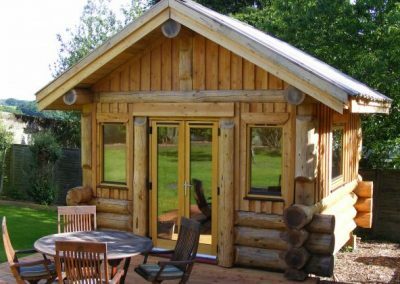 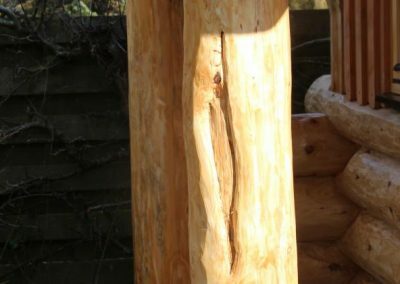 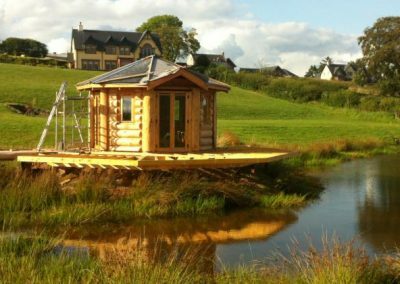 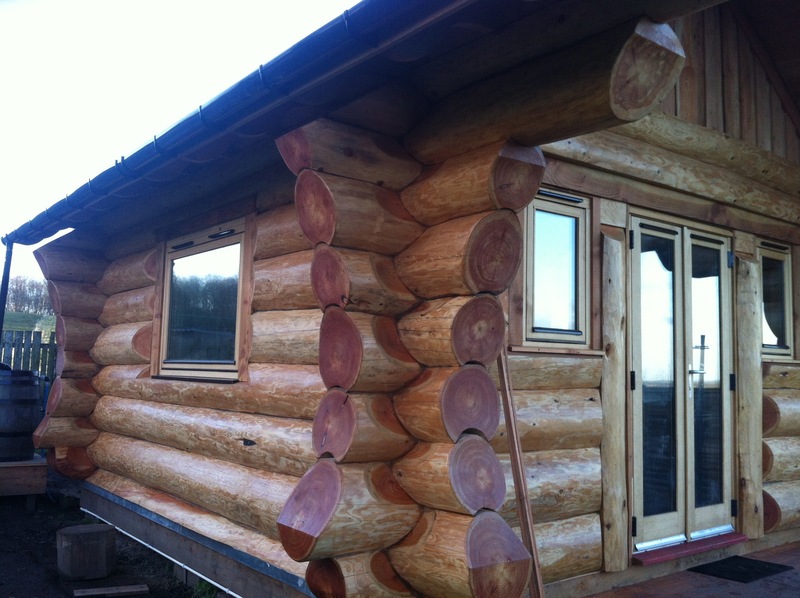 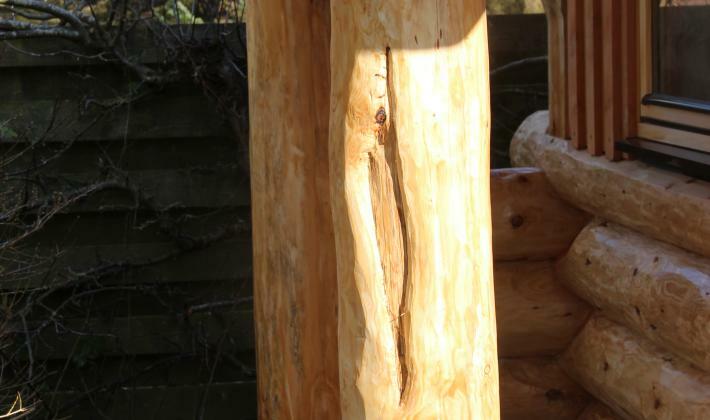 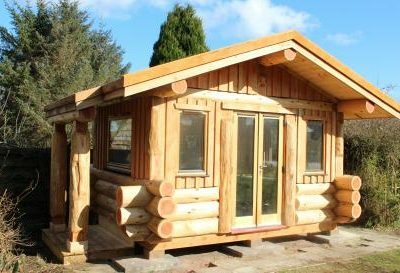 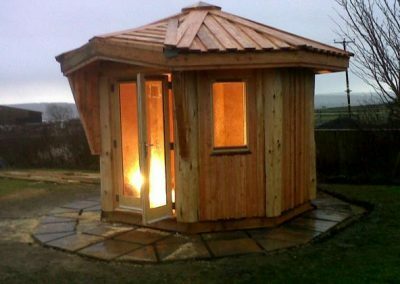 From a pile of timber Caledonia Log Homes created for us a bespoke summerhouse that has been greatly admired.